To celebrate National Poultry Day at Noodlecat, duh. 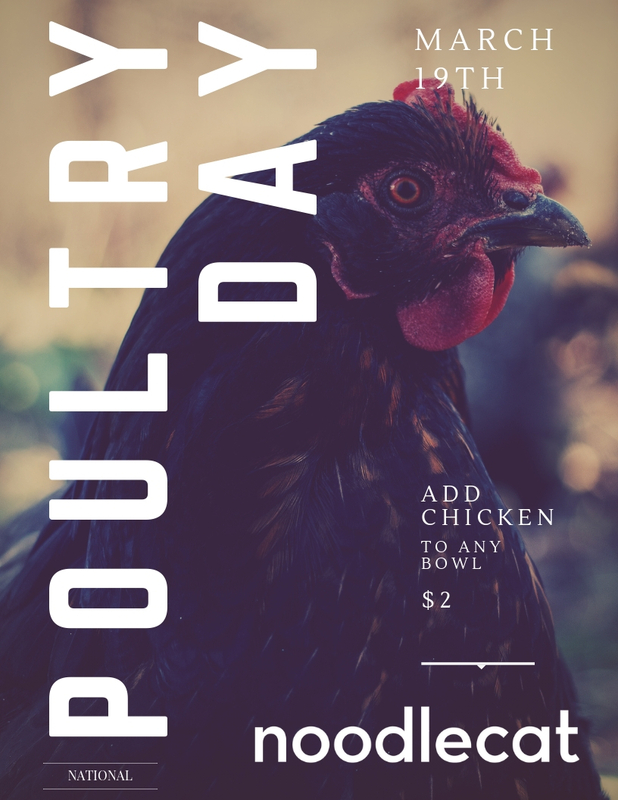 Add chicken to any bowl for $2. Or enjoy a delicious fried chicken bun for $2. All Day.